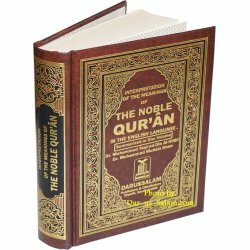 Arabic and English translations of The Noble Qur'ans. Modern easy to read English translation by Dr. Muhsin Khan and Al-Hilali. 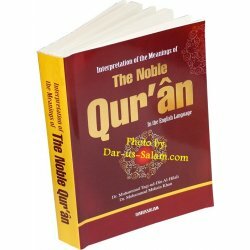 Noble Qurans There are 24 products. 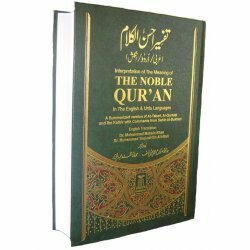 Easy to read modern English translation of The Noble Quran with Arabic text and full tafsir (explanations) in 9 volumes. A summarized version of At-Tabari, Al-Qurtubi and Ibn Kathir with comments from Sahih Al-Bukhari. 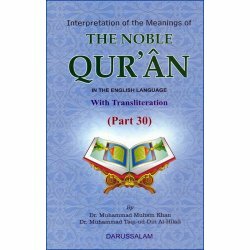 English translation and tafsir of Part 30 of the Noble Quran in pocketsize paperback full color format. 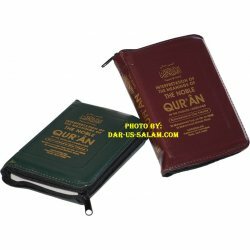 English translation and tafsir compiled by: Dr. Muhammad Muhsin Khan and Taqi-ud-deen Uthmani. 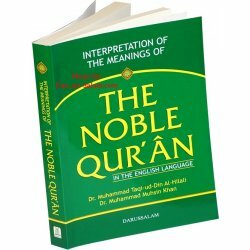 English meanings & explanation of The Noble Quran without Arabic text. Reads from left to right. Great to give for dawah purposes to Non-Muslims. 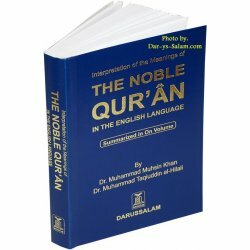 English meanings and explanation of The Noble Quran without Arabic text. Reads from left to right. Great to give for dawah purposes to Non-Muslims. 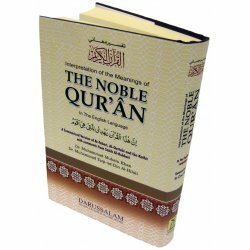 Easy to read modern English translation of The Noble Quran (Holy book of Islam) with Arabic text and Transliteration (Roman script). Translation by Dr. Muhammad Muhsin Khan and Dr. Al-Hilal. 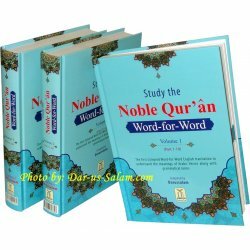 The first colored Word-for-Word English translation Quran complete in 3 volumes. 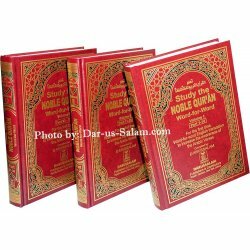 It will help you to understand the meanings of the Arabic verses along with grammatical terms. Each word is differently colored along with its meaning in the same color to facilitate learning each word while comprehending a block of words. 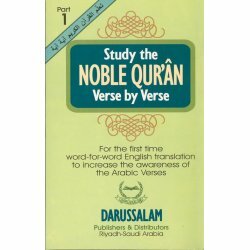 For the first time word for word English translation to increase the awareness of the Arabic verses. 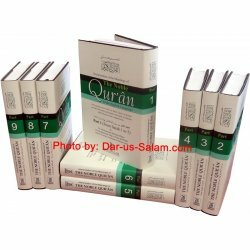 To understand the Qur'an it is necessary that one should know the translation of every word of the verse. 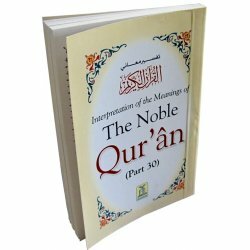 This booklet contains the word-to-word English translation of the first Juz (Part 1) of the Quran to make your Quranic study easy. 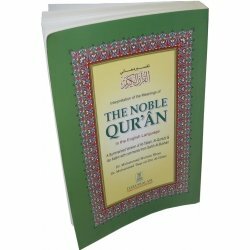 This full color booklet includes all the major oft-recited Surahs from the Quran along with the English translation. 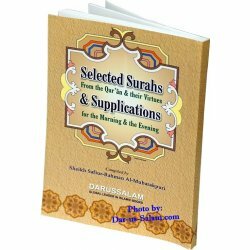 It also includes a section about the excellence of these Surahs plus it has other important duas. 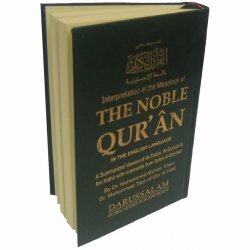 Easy to read modern English translation of The Noble Quran (Holy book of Islam) with Arabic text and Transliteration for those unable to read Arabic. 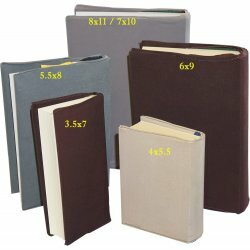 This unique book displays the genius of al-Suyuṭi in an exegesis of the Qurʾān. 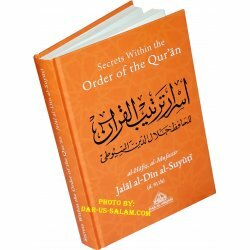 Through his deep reflection and knowledge of the Quran and its related sciences, he provides insights into why its chapters are ordered so and unveil intricacies to the reader which could only have been unearthed by one possessing such mastery and genius.